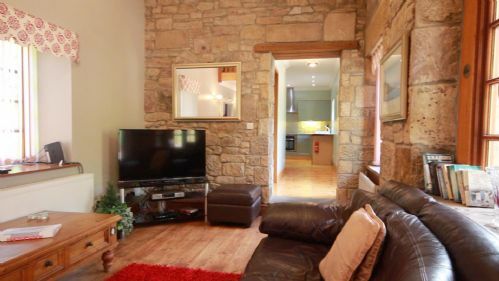 The accommodation offers a spacious lounge and dining area with original stone walls, leather suite and large conservatory, hallway with toilet/shower room and fully fitted kitchen with breakfast bar. 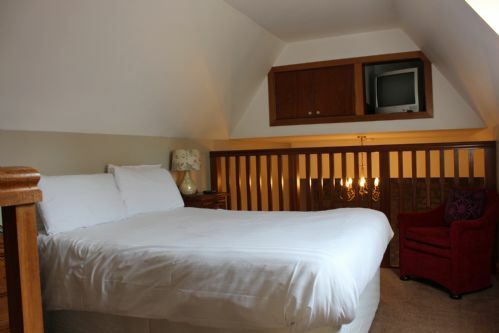 A mezzanine bedroom with king-size bed which is reached by a traditional hardwood staircase. Private patio area with barbeque. Full central heating, sky TV in all rooms. 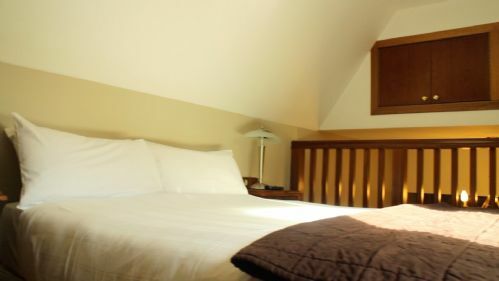 The Smiddy is perfectly placed for exploring the National Park, or if you prefer just to stay and relax. The lodge has such a peaceful setting. I've been several times and never been disappointed, this time was with my daughter, who has been once before and loved it. 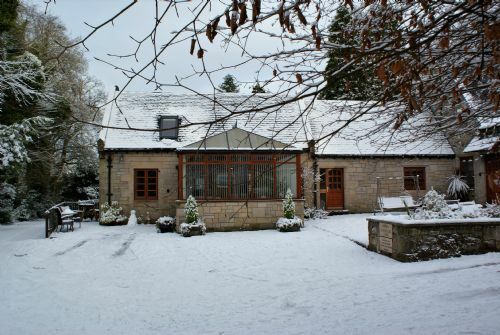 The place is always kept to a high standard and I would highly recommend Auchenheglish Lodges. Stayed at the smiddy between Christmas and New Year. Beautiful lodge with plenty of space, very comfortable and good location. Great service from the office and allowed us to check in early. Really enjoyed our stay. The lodge was clean, well equipped with all you could need, and the location was great too. The Owner was very helpful too, providing welcome pack and suggestions of a few things to do. After a slight mix up with our stay at the smiddy the management wasted no time at all moving us next door to the coach house, and wow an absolutely beautiful space, spotlessly clean all the amenities you need and a wonderful thoughtful welcome pack in the fridge. Myself and my husband had a fabulous weekend and just wished we had booked to stay longer. First class service. Home from home, total chill out for 3 nights, will defo be back. Everything on your door step walking trails and lovely Duck Bay only a 20 min stroll. We really enjoyed our short break at this cottage! The kitchen and living room were lovely and plenty big enough for two. You could not really walk anywhere after dark with the main road not having walkways and the back way being too dark at night. 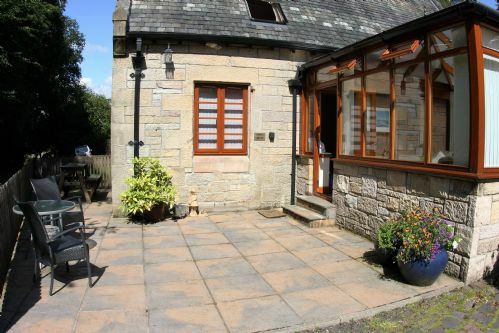 A wonderful little cottage in a great location for exploring Loch Lomond and the Trossachs. We have nothing negative to say. The welcome pack was a really nice touch too. Thanks very much. We will be back! 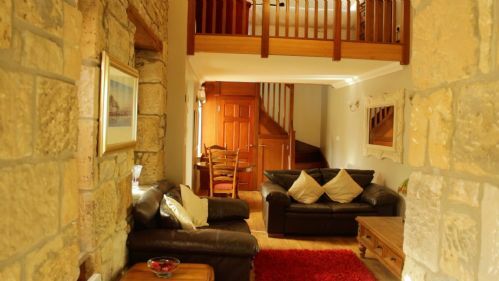 Smiddy is cozy, spacious and very pleasant for staying, having everything for comfortable rest .During 3 nights of staying we enjoyed the Loch Lomond and the cottage very much ! Booked for a wedding i was attending at Duck Bay Marina and i had a lovely relaxing weekend at the lodge, very cosy and comfortable, everything you need available, would definitely book again!! We boked this place because we were guest at a wedding held locally. The accommodation lived up to our expectations with the exception of the conservatory. Due to the very warm weather it was more like a sauna and we were unable to use it in the evenings..
Whist there were instructions of how to use the television there were none for use of the oven which we were unable to use. saved by the microwave! The shower room was well appointed but on occasions the light turned itself off which we thought was a safety hazard when using the shower. We were please with the bread, butter, marmalade, milk coffee and tea that was provided. Our overall experience was an enjoyable one and. 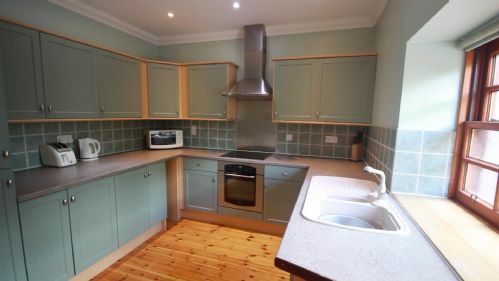 A very well equipped and roomy cottage set in beautiful grounds. A little away from the main estate but easily reached by car or public transport. Great location for exploring the surrounding area. Accommodation excellent. Initially we were going to be attending a wedding at the Cruin. That has been changed but we decided to go anyway. The only complaint I have is that the 'path' between the cottage and tbe Cruin would be something of a challenge to negotiate at night in the dark. It is a path but not in the sense you could use it when dressed for a wedding. Going from the web page for the accommodation it is a bit misleading. We stayed here for a short break having stayed in other Auchenheglish Lodges and weren't disappointed, a lovely well equipped lodge and felt very homely, would recommend to others and would certainly come back again. In the visitors book it was stated many times that the towel rail was not working, it is still not working it would be appreciated if this was fixed as unable to get towels dry, Also mentioned was the lights in the shower room are a bit erratic and still are, when lights go out in the middle of a shower you are left in in the dark !! Also on line it is stated that you are 200m from the shores of loch lomond but it is not made clear that the loch was almost unaccessible and you can see it from the Lodge - and we never found the route to ballach. My partner was looking for somewhere special for my 40th birthday and i said loch lomond where we found the smiddy. We loved every minute we wete there and the lodge was perfect in size and location . Cant wait for our next vist we loved it. Comfy spacious lodge. Ideal for a couple. Comfortable spacious accommodation. Kitchen well equipped with everything you would need. Shower provided plenty hot water but shower head was leaking. We tried for a meal at the Cruin but didn't realise it is only open to the public at certain times. Would certainly recommend the lodge and hope to return. Had a lovely time in Scotland lodge was great staff very helpful . Just one thing new people car on Thursday and parked outside the conservatory for two days so we could not use it. It was a lovely house. After a camping trip the house appears a bit dark, but we easily got used to it. The location gave me a mixed feeling. The Privat property signs around the house scared me off to go for a stroll and therefore it felt a but isolated while it was not exactly that. The shower head was in a bad state, we fixed it temporarily with tape, and we didn't get the dryer to work, but these are small remarks compared to the overall impression and state of the house. We enjoyed our stay, but due to its price and the location I would not recommend it to others. Had a lovely stay here, Liz very helpfully managed to fit us in a day early which was much appreciated. Very well equipped cottage, unfortunately the dryer wasn't working but Liz dried our washing and delivered it back to us same day. Lovely area with Duck Bay restaurant nearby - excellent food and service. The welcome pack including wine in the cottage was a nice touch and we got the feeling that nothing was too much trouble. Will definitely be returning hopefully to a waterside lodge next time. A lovely little cottage, and the location worked well for us. Customer Service was excellent, and the price very reasonable. I would consider staying here again. There were quite a number of small things that needed repairing and fixing, but apart from that, you have all appliances and materials you need to be completely self sufficent . There was nothing else we needed whilst staying here. Had a great time here. Arrived late on (it was dark) and the hosts were very helpful in directing us to the cottage. Everything went very smoothly and the cottage nice and warm. Would definitely stay there again. Excellent week spent relaxing in a well equipped and homely lodge. Good location to explore the Loch Lomond & Trossachs area. Plenty of places to walk the dog on the doorstep. The Smiddy is a lovely cottage with more-than-generous living space for two people. The welcome package was a nice touch and immediately gave us the thought that we were dealing with people who wanted to give the best possible service. We cooked every day so it was great to have a large kitchen with good facilities - the dishwasher was a great bonus. I actually think the pictures for the website should be retaken with a wide-angle lens. The current pictures do not reflect the property, actually making it look significantly smaller than it is. It was a big surprise to see the size of the place when we arrived. For sure my wife and I will stay with Auchenheglish lodges in the future. The travel directions were easy to follow, accommodation was superb. Welcome pack on arrival was unexpected and more than we needed. Accommodation was more than large enough and of a high quality. We had our dogs with us and the property had a large conservatory which made it an easy visit. This lodge was very clean and tidy. We stayed in October for 4 days and on arrival the heating was on making it very welcoming. The lodge was peaceful when in side the traffic noice from the main road outside could not be heard. The situation close to Balloch and Luss was perfect. I would recommend for a holiday to a couple seeking peace and quiet. A beautiful location and a a very well equipped and comfortable lodge. A little pricey perhaps but worth it especially if you are guests at the nearby wedding venues. We booked a 4 night break at the Smiddy and enjoyed it so much that we wished we could have stayed longer. The lodge is cosy, comfortable and well equipped with just about everything you could possibly need and the location and setting superb. This is our 3rd time with Auchenheglish lodges and we have just booked again for next year. We would highly recommend and top marks and thanks to both Liz's for their friendly customer service! I could sit here on my computer and never over-use the words EXCELLENT,BRILLIANT FIRST CLASS etc on a review of the SMIDDY LODGE. The easiest thing to write is GO SEE FOR YOURSELF. This was our first visit to the Smiddy and we absolutely loved it. It was a perfect little escape from London life. The location is fantastic and in such a beautiful setting. The cottage itself had everything we needed and a good size. We have already booked to come back and try out one of the other properties. We can't wait. 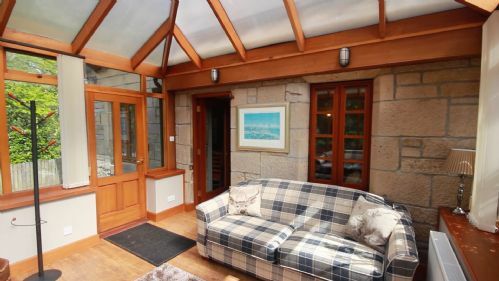 Very nice property with a lovely conservatory to sit in. Very pleasant stay only can't guarantee the weather. Bit difficult to find, need some instructions! The Smiddy is part of the old stables and coach house for a large country house in beautiful grounds. It is ideally located to explore the Loch Lomond area, and just a few minutes from Balloch and Helensburgh giving access to trains to Glasgow and the West Highland line. The lodge is well fitted out providing everything needed for self catering, and close to restaurants if you prefer to eat out. 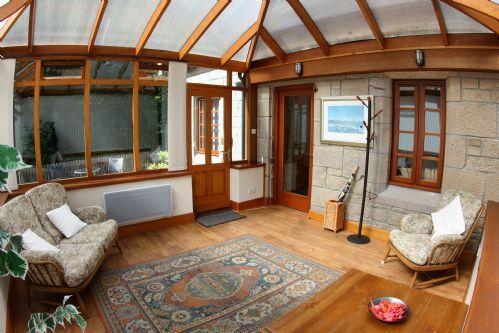 The large comfortable conservatory is a lovely place to sit and read, and the lounge and bedroom both have full Sky tv. This is an amazing all comfortable place for 2, we stayed here whilst family were in larger accommodation nearby, we loved the tranquility of the place. Short stunning walks with beautiful scenery. We had a lovely stay at Smiddy Lodge. The lodge was spacious well equipped and clean. It made it extra special having the welcome pack which was lovely to have on arrival after travelling for 5 hours. The little extra's were very much appreciated. We would very much love to come back to Smiddy Lodge. We had a very relaxing and peaceful stay. A great little lodge with loads of space- kitchen, living room and conservatory and mezzanine bedroom. Ample space for the two of us and lovely little welcome pack with bottle of wine. Would highly recommend! Fabulous place, terrific base for plenty of exploring. Very comfy & clean. We really enjoyed our week here. Would highly recommend & would book again. The Smiddy is set in a perfect location. 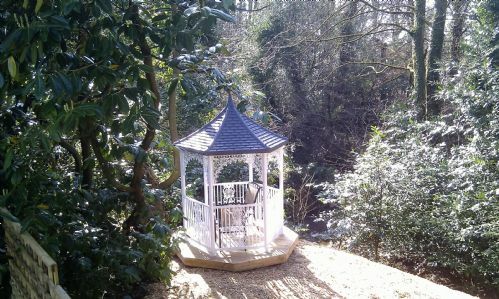 It is a great place for a cosy romantic break. The Smiddy is a very quiet estate which is set in a beautiful slice of the world. We had a 3 night stay for a friends wedding at the Cruin. Excellent location and facilities. The Smiddy has loads of character and had plenty of space for my husband and I, along with our two year old child. I'd booked the lodge as a Base for my girlfriend and me to celebrate her birthday. We had booked in at the golf club and for dinner over the weekend too. Unfortunately, she became quite ill and we were unable to leave the lodge. That said, it was a perfect place for her to get better- comfortable, quiet and warm in spite of the horrendous weather outside. What could have been a mess turned into a couple of lovely cosy nights. Had an excellent stay in Smiddy Lodge when we visited Loch Lomond recently. The cottage had all the amenities we required. It was spacious, comfortable & provided plenty of R&R. If I could make one recommendation & only minor would be the addition of complimentary toiletries. Very nice touches throughout- providing coffee, bread milk etc. Lovely and clean, and lovely area. Need to pre-plan food prep as everywhere is a taxi ride away! We had a bit of trouble finding the Smiddy Lodge in the dark but once there, were pleasantly surprised by the comfortable accommodation and the quiet location. I only have good things to say about our stay at the Smiddy Lodge. It is a beautiful little cottage which we instantly felt at home in as soon as we arrived. Everything we needed was there and of good quality and the whole place was exceptionally clean. The location is excellent, with many places of interest within easy travelling distance and the surrounding scenery is breathtaking. I would have no hesitation recommending this lodge to others and will probably use it again in the future. We stayed a couple of nights as my son was getting married nearby with the reception less than 10 minutes' walk away via wood, field and beach. My brother and sister in law were next door which was handy and by brother and sister in law just round the corner but I didn't discover that until they drove past as they were leaving. There are plenty of geocaches within walking distance which encouraged exploration and exercise when the party was over. Friendly staff perfect location great short break ! . We took the walk to the restaurant on the side of the lock only to be told there was a wedding on and we could not have any drinks. But that was only a small problem on what was an excellent short break ! Lovely cottage.very well equipped. Not very keen on the open plan bedroom as I need an early night and my partner likes to watch television late. The sound was disturbing. We need to have a bedroom door that shuts out the sound of the living room in future. We stayed for a week in Smiddy Cottage and would love to stay again. The accommodation was extremely clean with everything we needed provided, even items we had forgotten to bring such as some cooking oil and some sugar! There was lots to do in the area and it was lovely to be situated in a quiet location. The loch was a short walk from the accommodation - we did struggle to find the route to start with (despite the provided directions) but once we found the path we made good use of it. Outside the cottage a bbq was provided along with seating which was lovely in the evening - we were lucky with the weather so sat outside with a glass of wine most nights - perfect! The cottage was wonderfully clean and the kitchen was really well stocked with everything you would need. The downstairs area is really spacious and homely. The welcome gift was great as were the local details provided. I lovely well kitted out cottage in ideal location only short taxi ride from duck bay or cameron house. With balloch not to far either. Nice peaceful place to relax for a break. Would definitely go back. Our third visit to Auchenheglish Lodge properties which certainly won't be our last. The character property is comfortable, clean, managed by helpful staff & the welcome pack provided sees you through a glass of wine on arrival and a basic breakfast the first morning. Having stayed there before and going for the sole purpose of relaxing & recharging, we enjoyed morning walks, followed by an afternoon in the comfortable, spacious conservatory reading while enjoying a dram and watching the squirrel scamper over the roof - what could be better. The shower unit (replacing worn door handle and the addition of a shower caddy perhaps) could do with a minimum refurb and increasing the cut-off delay of the bathroom light would be our suggestion. We also reduced the comfort point as we found the mattress too firm, but understand & appreciate a firm mattress far surpasses a saggy one. We are happy to recommend either Smiddy or Stables for couples wanting a peaceful getaway that is within easy driving distance of beautiful sights, tourist amenities and a selection of good eateries. Certainly value for money. We plan to experience a loch side property next visit. What a great little lodge for a couple of days of relaxing and enjoying the local attractions. 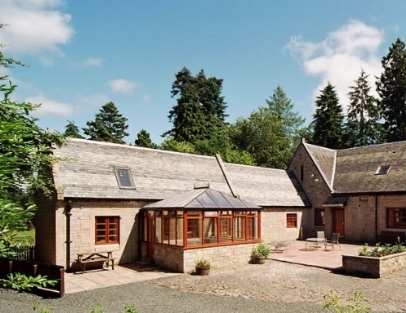 Close to Loch Lomond, but away from all the tourist, this lodge provides everything required. Would definitely come back again. My boyfriend and I stayed at Smiddy Lodge for 2 nights over the May Bank Holiday weekend. Prior to our arrival, I received extremely friendly and helpful emails from Liz and had all the information I needed. The Lodge was easy to find and in a great location near to Balloch. Inside the Lodge was done to a really high standard and we felt completely at home there. We couldnt have asked for more or for a better location! Would highly recommend the Lodge to anyone. Couldn't have been happier with the Smiddy Lodge. Lovely spacious accommodation with a great location. Lodge was true to pictures advertised, will be back. recomend to anyone looking for a break from city life. It was our 2nd stay with this company and could not fault it at all. The photos on the website do not do the property justice. It was gorgeous. Will be back soon!